This page is dedicated to our English speaking friends from the Poitou-Charentes region, living in the vicinity of Poitiers or further away. Some of you are already volunteer members of our association and others are discovering this page for the first time. Some of our volunteers speak English, so don’t hesitate to contact us by e-mail if you have lost your animal, if you wish to adopt or become a volunteer. Also if you witness bad treatment to any animal, we are habilited to go on site with legal authorities if needed. 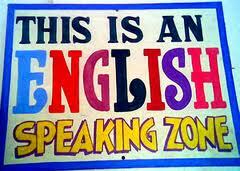 At the SPA, you can ask for Anne, Caroline, David and Amélie who all speak English. The Poitiers SPA shelter was created over 56 years ago. SPA stands for Secours et Protection des Animaux – Save and Protect the Animals. We are a community-supported nonprofit association dedicated to saving, protecting and caring for cats, dogs and other animals. We do this through immediate care of animals that are homeless, ill or in need of an advocate, but we also work to educate the community, reduce the number of unwanted kittens and puppies through spaying/neutering, and improve the quality of life for animals and their companions. The SPA cares. We care for the abused or abandoned dog, for a terrified and disoriented cat, and for an animal in pain and requiring treatment. Our care is what makes the difference and all of our animals are entitled to a loving home. As an independent non profit association that receives no state or very little local funding or from national organizations, we rely solely on donations from our supporters to provide our many services. Our shelter is operated by a dedicated staff, veterinarians and volunteers, never counting their affection and their time. We are an independent association, a member of the French Confederation of the SPA which is based in Lyon and considered to be of public utility even though it does not have a shelter. Our link is only administrative. We are totally independent of the other major SPA (Société Protectrice des Animaux). In Poitiers, we receive more than a thousand animals each year from various sources : lost animals captured by the pound, those which are abandonned directly by their owners, and other which unfortunately are legally taken away from unqualified owners. Dogs with dangerous behaviour are also sheltered until a legal decision is taken. Abandonned animal have greatly increased and are due in part to health problems, major personal and professional events. Unfortunately, they are also linked to the unconsciousness of certain owners who abandon an animal as quickly as they adopted it. We do our best to provide the most effective, compassionate care to animals in need in the current economic climate where animals are too often abandoned or neglected. While we are proud of our no-kill history, our SPA, while saving healthy cats and dogs also believes in rehabilitating sick and injured animals, and going beyond the borders of Poitiers to help animals that may otherwise face euthanasia because of pet overpopulation. We include HIV positive cats who are up for adoption under certain conditions. We make a point to match people and animals. We accomplish this through conversation to create an effective, pleasant adoption experience — and most important — to make lasting matches. The adoptant must be aware that there are obligations in owning an animal and he must be ready to accept and handle these obligations. Each situation, adopter and animal requires a different approach. And while we reserve the right to refuse an adoption, we always make every effort to work with you to find the most appropriate companion animal. Everyday, our staff members make a difference because they are part of an organization where they can put their passion to work. At every level, the people who work at the SPA share the common commitment to saving animals lives. We know our success can only be achieved through the individual and collective accomplishments of our people. We value and depend on the diverse backgrounds, experience, knowledge and talents of all of our staff members. While you are away, you can feel confident that our dedicated and skilled staff of animal caretakers will keep your pet fed, watered, exercised and receiving ample love! A portion of the boarding fees are used to support the homeless animals of our shelter. Contact us for information and daily/weekly rates. THEY NEED YOU. WE NEED YOU. VOLUNTEER FOR THE ANIMALS. The SPA offers a variety of volunteer opportunities, and all make a true difference to the animals in our care. Volunteers must be 18 years old, willing to give some time as often as possible, and a member of the association (25€ for a year). We could not survive without the dedication, passion, and determination each and each volunteer brings to our organization. We know you’ll make a great addition to this incredible group of people. Our dedicated volunteers make a commitment to help our organization by touching the lives of both pets and people every day. Their decision to put their concern for animal welfare into action by offering to donate time is such an important asset to us, including our foster care program. Foster care volunteers provide temporary care for kittens, puppies, dogs and cats. Some animals may only need a home for several days if they need to gain weight before surgery, while others may need several weeks of care in the case of a broken bone. By offering your time, energy and home to an animal in need, you prepare the animal for adoption into a permanent home as well as prevent overcrowding in our adoption center. We are always looking for foster families to help save more animals’ lives. We help to ensure your success in being a foster parent. We offer training and supplies. Also, help from our trained staff is just a phone call away. Foster animals are carefully matched with foster homes according to the animals’ needs and the foster parents’ abilities. Whether you work full-time or you are often at home, there may be a foster placement appropriate for you. We rely on volunteers to care for shelter dogs and cats, assist the staff, provide foster care, and help with our events. KITTEN SEASON IS STARTING AND WE NEED YOUR HELP! Many of the homeless kittens we receive are underweight and undersocialized. At the SPA volunteers provide safe and loving foster homes and help these kittens reach the stage where they are adoptable. We are currently in need of additional foster care volunteers. Contact us to learn more about our foster care program and how to join this amazing group. When you sponsor an animal, you create a unique bond. We understand that not everyone can adopt all the animals we have available, that’s why sponsoring that special animal whose story touched your life is a popular alternative to adoption. The bond formed through sponsorship is one that keeps you connected to the progress of your special friend and gives you the rare opportunity to witness their changes over time. The cost is 36€ a year. Do you know that a shelter like ours only functions through the donations we receive ? Even though we do obtain some help from local structures, our main resources come from membership dues, adoptions and board. Your financial support is vital. The 250 SPA in France are autonomous and financially independant. We have no help from any of the other SPA shelters. Unfortunately, a lot of the people who donate to bigger associations think that part of these donations are distributed in their local shelters and that is a big mistake.That’s why it is important to know that your donation is directly for the Poitiers SPA. The Poitiers SPA’s mission is to save and protect animals, provide care and treatment, advocate for their welfare, and enhance the human-animal bond. We are supported by private donations and not affiliated with any national organization. Please check out our website to learn more about our activities, volunteer work and services. The Poitiers SPA de Poitiers is of public utility, thus, 66 % of your donations are deductible from your taxes within the limit of 20% of your general income. The amount of your membership dues to our Association is also deductable from your taxes. A tax receipt will be sent to you if you wish. When the time comes to draw up your will, don’t forget our little friends. The bequests made by generous donators to our shelter help us to cope each year with a budget that steadily increases. Don’t forget to specify that your bequest is for the SPA in Poitiers..
A will is the best way to safeguard the future of the people and causes important to you. A bequest is simply a gift, usually to a charity, that is provided for in a will. Bequests are made to the SPA Poitiers because people recognise that the numbers of unwanted, abandoned and stray animals are growing daily. A bequest can take many forms. People commonly leave cash, real estate, personal property, or the residue of an estate, i.e. whatever remains once provision has been made for loved ones. Every donation helps, no matter how small.